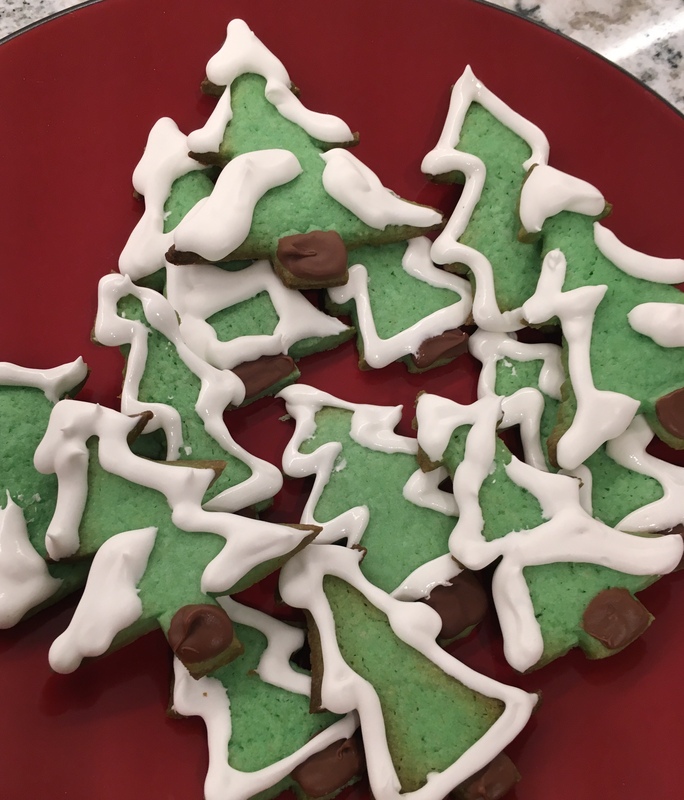 Zooniverse project cookies have become a true advent calendar tradition, and this year the fantastic Dr Brooke Simmons has outdone herself with these beautiful Snow Spotter trees! To make green cookies, add green food colouring to the liquid ingredients just before you mix with the dry ingredients. Add a few drops at a time until you get the colour you want, keeping in mind that the shade will lighten slightly when you add the dry ingredients. The colour here required 15 drops of green. Decorate the trunk by placing a single chocolate chip on each cookie trunk immediately after they come out of the oven, then spreading the chocolate across the trunk once the chocolate melts. The icing is different from past years, and it uses the 2 egg whites left over from the cookie recipe. Combine the whites with 2 3/4 cups of icing sugar, and whip (with an electric mixer, unless you enjoy forearm pain) until the icing can hold soft, glossy peaks. The icing is bright white, so it’s perfect for snow-covered branches. Previous Previous post: Zooniverse Advent – Day 5: To Your Elf!